From man’s earliest artistic expressions, the narrative has been a dominant theme whether documenting a successful hunt, relating the activities of a divine being, illustrating images based on literary work, or focusing on the activities of everyday life. 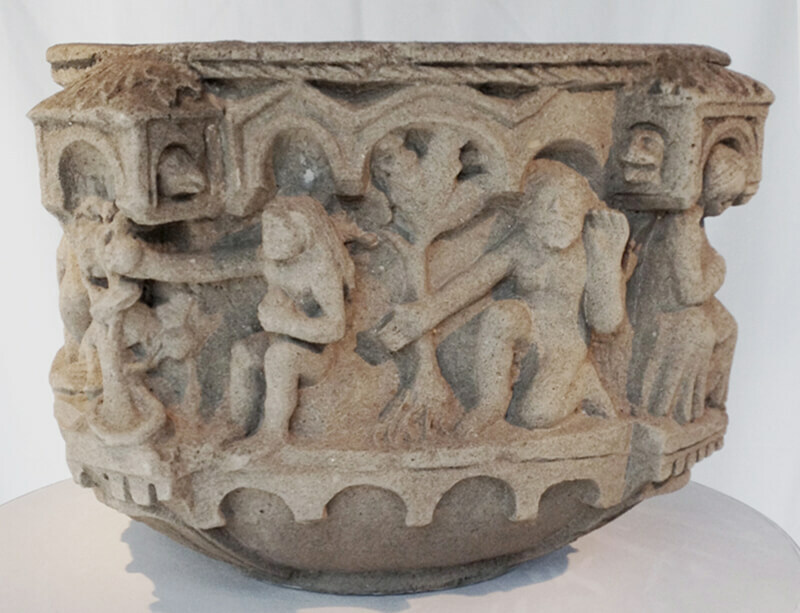 A cross-continental commonality is the use of sculpture to convey the image and at times the narrative related to various religious experiences. This is seen through the embellishments on the baptismal font, the figural interchange on the stele, divine personages used as a container for religious artifacts or in the practice of a ceremony. The 19th century American sculptor John Rogers was one of the foremost practitioners illustrating narrative themes through his work. These range from allegories to morality pieces, those documenting an historic event, scenes from both American and British literature while also capturing the mid-19th century idea of idealized life. 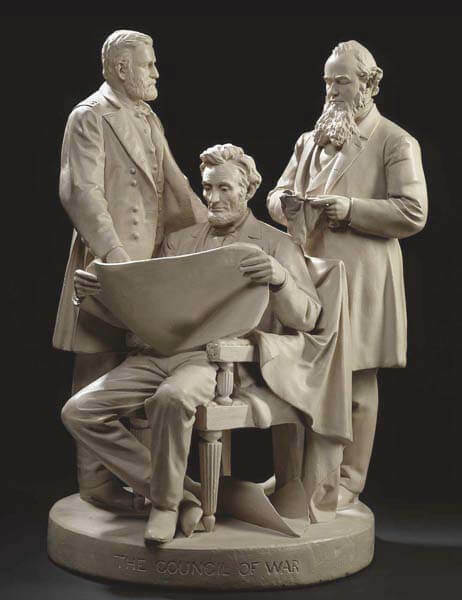 Unlike most sculptors Rogers chose to produce work for a broad audience with numerous versions of each of his compositions often in plaster, which was later toned, but for a higher cost the pieces could also be produced in bronze. An aspect of Rogers’ work addresses positive moral behavior as illustrated by these sculptures, representing elements of society that extended themselves to those who are less fortunate. As Rogers created works for mass patronage, those who acquired them for display in their parlors intended to convey similar messages to those who visited their home.